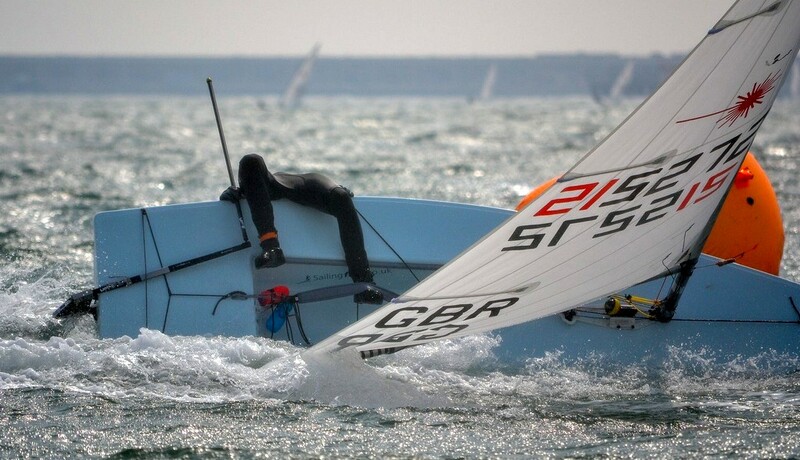 Tough racing on day 1 of the RYA Youth Nationals at WPNSA on Monday. Just a quick round-up of the day, which saw a lot of retirements in the difficult strong wind conditions, and PRO Peter Saxton decided it was just too windy, and canned the racing for the day. In the Radial Boys Fleet Finley Dickinson of HISC won the first race, ahead of Wonn Kye Lee of Singapore, with third Thomas Mitchell Royal Lymington Yacht Club. In the Radial girls Fleet Matilda Nicholls of AWSC took the win ahead of Stephanie Wingeatt, Leigh and Lowton SC, with in third place Molly Sacker AWSC. In the standard Laser fleet Joseph Drake RNSYC won the single race ahead of Jordan Giles of Royal Lymington YC, with third Ben Childerley RSYC. In the Kites after three races completed, Adam Farrington (3,2,1) of Bournemouth leads by four points from Angus Fellows (4,3,3) YYC, with third and first girl Francesca Maini (5,4,2) British Kitesports Assoc.